SAP Sybase DBAs, have you heard of Asemon? If not, you are missing a trick. As more and more companies move their SAP Sybase database operations to the cloud, the need for accurate database monitoring is becoming ever more acute. But did you know that one of the best systems on the market, Asemon is completely free? I’ve been using it for years and rate it highly. Here I explain why every SAP DBA needs to know about it. Asemon is a performance monitoring tool for SAP Sybase ASE, SAP Replication Server (SRS) and SAP IQ. It is widely used and has the huge benefit of being a mature and stable product (first delivered in 2004 and actively maintained ever since). And, offered as a GNU General Public License version 2.0, Asemon is completely free to use. As anyone familiar with the excellent Sybase data management suite will know, Sybase did not have a focus on delivering ‘easy to use’ monitoring solutions. Yes, Sybase products did deliver detailed monitoring but getting useful information out could be tricky, requiring DBAs to write their own bespoke, scripted solutions. A number of third party commercial products developed to fill this gap, delivering a cohesive, graphical overview of server processing. And this is exactly what Asemon does – and does it very, very well. A “Logging” process for each monitoring component; A “Reporting” process – HTML GUI for Asemon; A “Data Repository” (ASE or IQ) which stores the captured data. Asemon is a centralised monitoring solution, with a central Reporting server and Repository for each site. 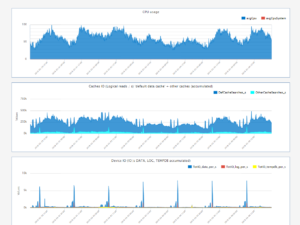 The result is centralised monitoring of all your ASE, SRS and IQ servers in one place. Absolutely not. Simplicity and ease of use are the great benefits of Asemon. Setup is simple with configuration of each capture component completed by a simple configuration file. Asemon captures data on the server itself, which has its limitations. 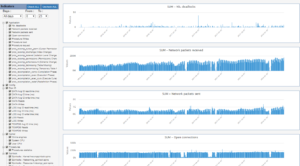 Capturing a full range of server metrics and user activity can place a significant load on the monitored ASE server, especially on servers with a high volume of user activity. Like most traditional monitoring systems, it is also constrained by being entirely IT centric. This is great if a problem began in IT but what if, as is often the case, database performance is being degraded by user decisions? We came across a complementary solution to this several years ago in the form of the excellent iWatch database performance monitoring solution. Unlike Asemon and other traditional monitoring systems, iWatch is non-intrusive – it resides outside of the database and works by capturing every SQL user interaction with the database. This holistic “capture all” approach gives the business an unparalleled picture of what is happening and why – from the viewpoint of the user – with of course no CPU impact. Trends in performance become incredibly easy to identify as well as areas where the most dramatic performance improvements could be made. Comprehensive reporting features ensure that following an incident, iWatch can be used to immediately identify what has changed and why e.g. has user behaviour changed since this morning, yesterday, last week…? These are significant advantages, particularly in complex, distributed environments where critical time can be wasted simply determining which area of expertise within the IT organization can best be brought to bear to resolve a particular issue. 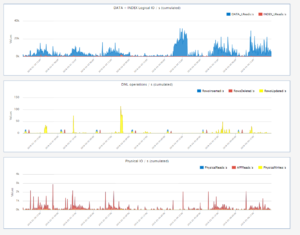 As a result, we now pair Asemon with iWatch for really comprehensive database performance monitoring. The two products complement each other perfectly, addressing the different database performance monitoring problems that face modern businesses. And both products can be used in conjunction with SAP ASE in the cloud – Asemon can reside locally and iWatch can be used as a BYOL, with plans afoot to make it available on AWS.